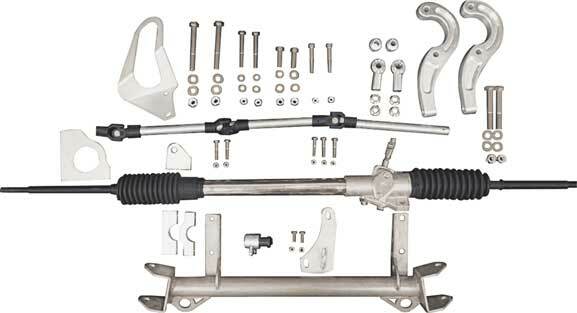 Upgrade to a new front steer rack and pinion steering for a stock framed 67-69 Camaro/Firebird or 68-74 Nova. No need to take your car to the chassis shop to have a rack installed, do it in your garage. 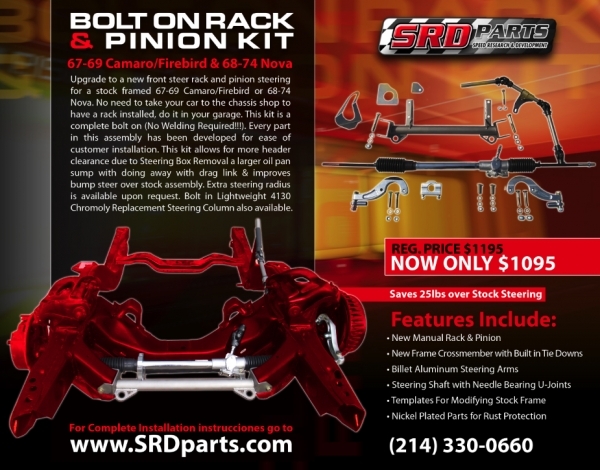 This kit is a complete bolt on (No Welding Required!!!). Every part in this assembly has been developed for ease of customer installation. This kit allows for greater header clearance due to steering box removal, a larger oil pan sump with doing away with drag link & improves bump steer over stock assembly. Increased steering radius is available upon request. Save 25lbs over stock steering. Note: Some modification required for use with factory control arms.